–Monopolies Blame Libs for Free Speech…As Libertarian-based groups in Australia get elected to local citu councils…and now challenge media groups funded by the government and self-described libertarian Julian Assange gets asylum for revealing government misbehavior… the government issues a singular report blaming old-fashioned Libertarianism specifically for antiquated and non-collective free speech it wants to fine, permit and regulate now that enlightenment is over. 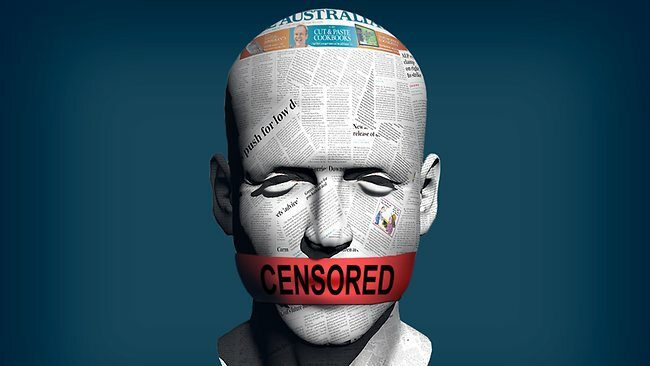 FREEDOM of speech is under a concerted attack in Australia. Only yesterday, the Gillard government introduced a motion in the House of Representatives calling on the parliament “to determine what socially acceptable standards are expected from news media in this country and to legislate appropriately to ensure adherence to them” by creating a new regulatory body to oversee those standards with the power to impose “commercially significant sanctions” for failure to comply with them. Although the government has yet to announce its official response to the Finkelstein report, there seems little doubt that its call for the creation of a “News Media Council” – an antipodean version of Orwell’s Ministry of Truth – has achieved an almost unstoppable momentum within Labor circles. The underlying argument of the report is an attack on what Finkelstein calls the “libertarian” case for press freedom, in favour of what he describes as the principle of “social responsibility”. Few would argue that the press, as a powerful institution, does not have responsibilities to society. But Finkelstein goes much further: by favouring “social responsibility” over the “libertarian” argument, freedom of the press is not seen as the paramount public value, qualified by necessary but jealously circumscribed exceptions. Rather, it is displaced. At the risk of being stubbornly out of sympathy with what Finkelstein is pleased to call “the new intellectual climate”, I confess I am an admirer of the Enlightenment, and less than an admirer of the dirigiste philosophies that disfigured so much of the 20th century. The 17th and 18th centuries saw many of the most notable advances in the history of liberty. I freely admit that I prefer the Cavaliers, who restored the theatres, to the Puritans, who closed them; I prefer Milton’s Areopagitica to Hobbes’s Leviathan; and I certainly prefer the Declaration of Independence to The Communist Manifesto. Conversely, the past century, in which emerged the “new intellectual climate” of which Finkelstein is apparently so enamoured, which “placed higher store in collectivist values”, witnessed a greater sacrifice of human lives, in the name of the power of the state, than in the whole course of human history beforehand. So I am unashamed of being at odds with the zeitgeist in believing that Adam Smith has more useful things to teach us than any of the avatars of the “new intellectual climate”; and of preferring the teachings of Mill to those of Marx, or Mao, or Marcuse. What Mill thought was no longer necessary in mid-Victorian England is now, astonishingly, necessary in 21st-century Australia. Almost four centuries after Milton’s ageless plea for the freedom of the press, more than two centuries after the newly born American republic adopted the first amendment, we in Australia find that fundamental prerequisite to political freedom challenged. And the challenge is not merely a challenge to the freedom of the press arising from an expert report. It is a comprehensive challenge – arising from a modern-day puritanism, driven by an ideologue’s intolerance of alternative or dissenting views, and condoned if not actually encouraged by a complicit government – to the very centrality of freedom of speech as one of our society’s core values. It is a challenge whose techniques are sometimes subtle, like the manipulation of language and the silencing of alternative voices; sometimes explicit, like Section 18C of the Racial Discrimination Act; and sometimes stunningly brazen, like the Gillard government’s attempts to limit the freedom of the press. But the danger to our liberal democratic polity must not be underestimated. George Brandis is the opposition legal affairs spokesman. This is a revised extract from the Sir Harry Gibbs Oration, delivered last Friday.